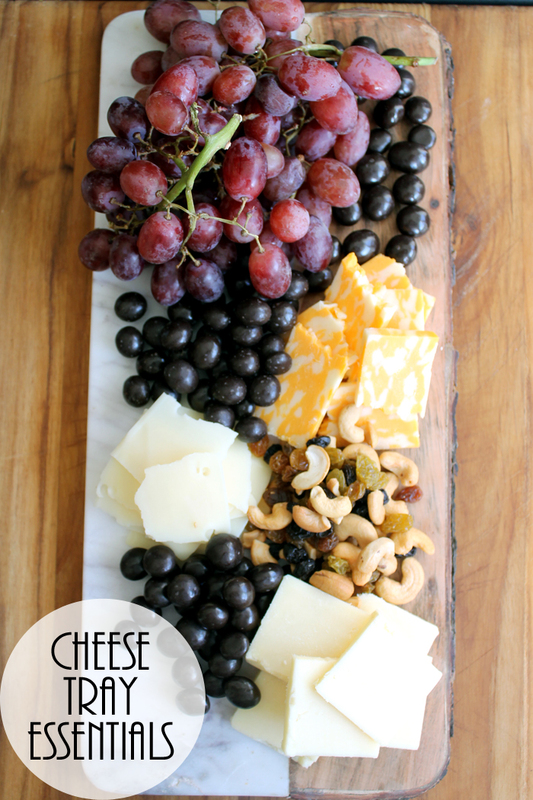 You are here: Home » parties » Cheese Tray Essentials – what to add to your party tray! 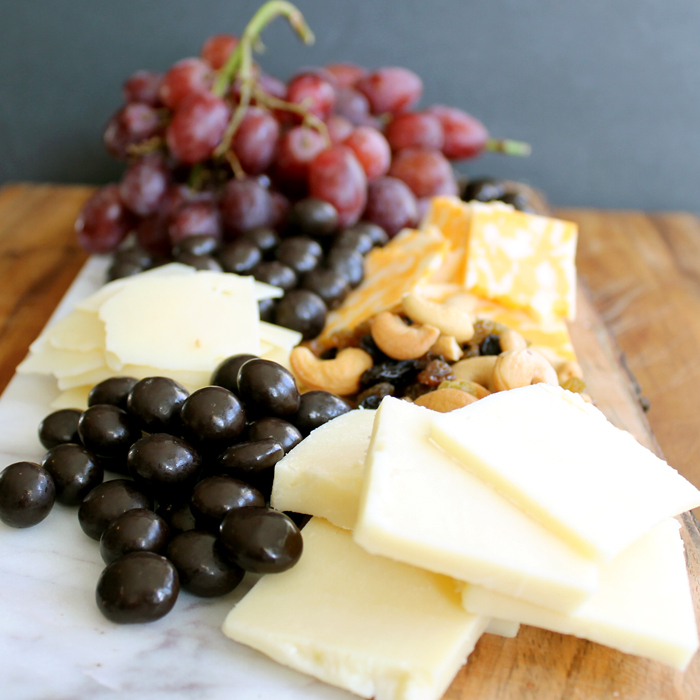 Cheese Tray Essentials – what to add to your party tray! Entertaining for the holidays? I have some cheese tray essentials for you today that you will want to add to your party tray. Tired of the same old cheese tray? Mix it up with our ideas for a party that no one will forget. Struggling with what to add to your cheese tray? We can help with that as well! I am participating in a campaign for Brookside Chocolate. I am receiving a fee for posting; however, the opinions expressed in this post are my own. I am in no way affiliated with Brookside Chocolate and do not earn a commission or percent of sales. 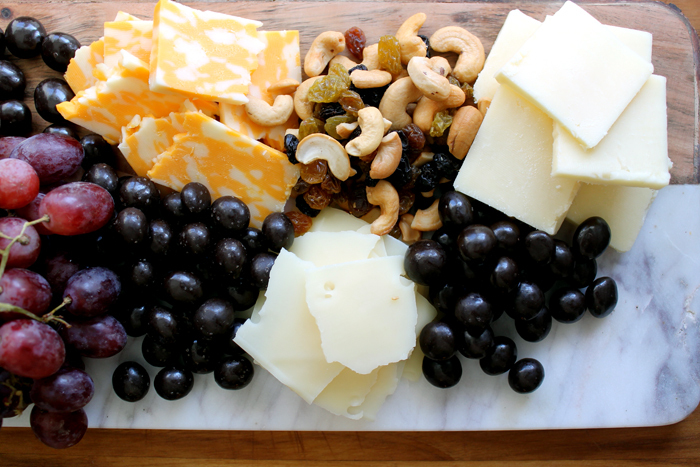 Explore the options at your local grocery store then add all of your cheese and snacks to a gorgeous serving tray. My personal favorite of the Brookside Chocolate are the Goji and Raspberry flavors but I added all three varieties to my tray for my guests to enjoy. The dark chocolate pairs so well with the cheese and you get the fruit flavored center that really accents the other flavors. This is definitely my favorite way to enjoy Brookside Chocolate but you might enjoy them straight out of the bag! Head to the grocery store and shop for these cheese tray essentials that will put a new spin on your party. Your guests will love this spread and it will only take you minutes to pull together. Of course, you can make a cheese tray for lunch any day of the week. 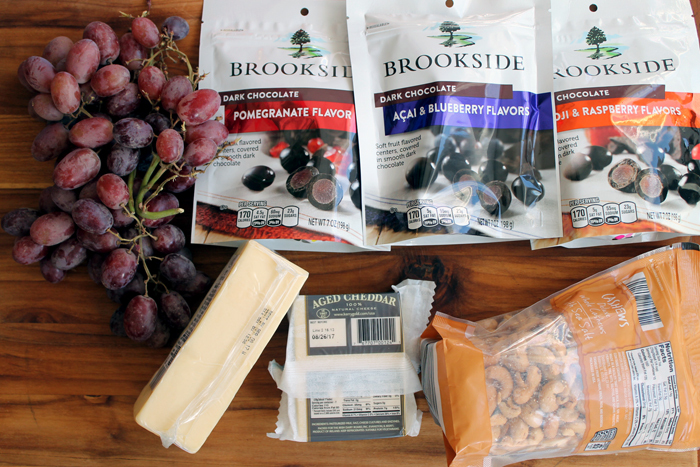 My favorite mid-day meal is a cheese tray accented with Brookside Chocolate. I mean how delicious does the Brookside Dark Chocolate and pomegranate flavor look in the pin below? I am off to enjoy my cheese tray with these amazing chocolates on the side. next post: Taco Lover Gift Idea – fun gift in a jar! My hubby likes those chocolates too! But I do love a good cheese tray. You should come link up at #bloggerspotlight! Great tips! I would love you to come share this at Smell Good Sunday! What a great Cheese Tray! Thanks so much for sharing your awesome post with us at Full Plate Thursday. Wishing you a fantastic 2017!